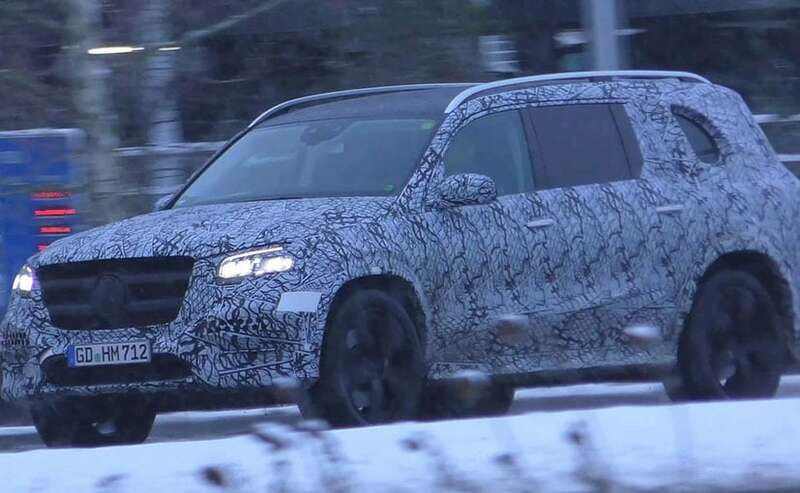 The test mule seen in the spy shots hints that the 2019 Mercedes-Benz GLS has grown in dimensions. The new Mercedes-Benz GLS gets a massive grille which makes the face look even more butch. The 2019 Mercedes-Benz GLS looks bigger in dimensions. The face housing a massive grille looks even more butch. It is likely to get a top-ranging Maybach version. It looks like that Mercedes-Benz has sensed the competition the upcoming BMW X7 could give to the GLS. And Mercedes is also aware of the fact that when people are spending oodles, they want something "extra-large". 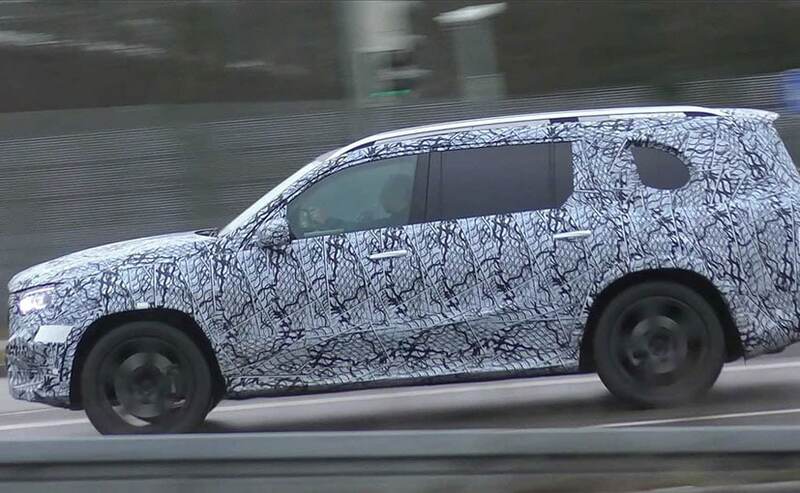 The spy pictures which have surfaced online completely substantiate that as the test mule of the 2019 Mercedes-Benz GLS looks as big a mammoth as the BMW X7. The revamped GLS will be unveiled in second-half of 2019 which was revealed in the official product roadmap which Mercedes-Benz published sometime back. The test mule which has been spotted is heavily camouflaged and there are also small patches of concealing panels on the sides. However, the massive two-slat Mercedes grille is quite apparent and though the test mule isn't embodying the three-pointed star in the centre and it isn't chrome finished in typical fashions, we can tell it's a GLS just by the design. The bumper profile has also been changed and new elements like a broad centre air dam and taller side ducts merge well with the even more butch face. In fact, the side assembly is so wide that it almost insets into the overhang. Moreover, the headlamps on this test mule look similar to the ones we have seen on the latest GLE. The 2019 Mercedes-Benz GLS looks longer from the side. Though the 2019 Mercedes GLS looks wide and massive right from its face, it's the side that makes the bulge even more apparent which in turn leads us suspecting that it has grown in dimensions, longer and marginally wider to be precise. That said, the side and rear profiles of the GLE look the same in design to the outgoing model but we expect subtle changes in the styling which may be hidden under the concealing panels. Being the flagship SUV, the GLS will be equipped with all the bells and whistles you get in an equivalent S-Class. The GLS is likely to get the same in-line six and V8 powertrains too which is seen in the S-Class including the GLS 600 which is likely to wear the 'Maybach' badge. Moreover, there will be also a 63 AMG version which will get a 4.0-liter, twin-turbo, V8 engine which is likely to belt out over 600 bhp.